We are a great club with a great field. Regardless of how experienced you are or what kind of models you fly, you can find friends at Miami R/C. We have pilots at all skill levels, so whether you want to learn to fly or are a competitive flyer, you can find a home at Miami R/C in Xenia OHIO. HOT DOG/NIGHT FLY each month on the Wednesday following the Tuesday meeting. 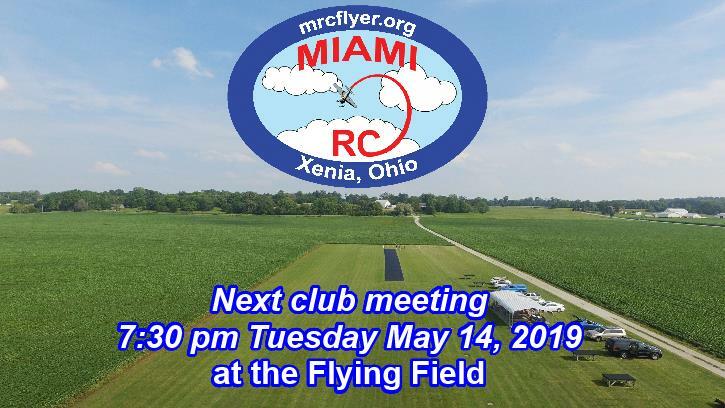 June 1 - SMAC invites Miami RC members to their field for a day of flying. Others clubs invited are Urbana, Piqua and Brookville.